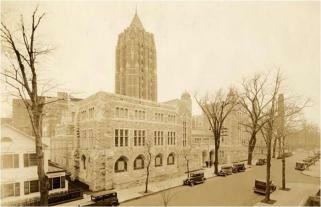 History has been taught at Yale since President Thomas Clap introduced specifically historical courses in the 1760s, and the Department of History has existed since 1919, when Yale first divided its faculty into academic departments. History was a popular course of study when majors first were introduced after World War I, and it became the largest major in the 1950s. For more than a half-century since, between 15 and 20 percent of Yale undergraduates have majored in History, and undergraduate History courses draw between 4000 and 5000 enrollments each year. Yale awarded its first History Ph.D. in 1882 to Clarence Winthrop Bowen for a dissertation entitled “The Boundaries of Connecticut,” which was published in the same year. Since then, the Department has awarded more than 3000 graduate degrees to an array of graduates who have pursued often brilliant careers as scholars, teachers, and administrators in universities, government, and private business. About 150 History graduate students currently are in residence, and the Department accepts between 20 and 25 new students into its graduate programs each year.